Apple wasted no time putting its $1 billion U.S. manufacturing fund to work, announcing Friday that it will invest $200 million into Corning’s Harrodsburg, Kentucky glass-making plant. Corning, as everyone knows, manufactures the glass that Apple has used in iPhones and iPads since day one. Corning’s Gorilla Glass, introduced in 2007, played a huge role in the development of Apple’s devices. Corning will be able to leverage the $200 million investment, which will go toward equipment, glass processing, and research and development, to make new versions of its extra-strength glass. Apple at one point was testing sapphire glass from a different manufacturer, but that plan flamed out after the sapphire was found to be too weak for use in iPhones. The company went back to Corning, and Gorilla Glass has remained a staple. Corning’s business relationship with Apple has already created close to 1,000 jobs in the U.S. It’s unclear if the company will add to its headcount with Apple’s investment, but it’s entirely possible. 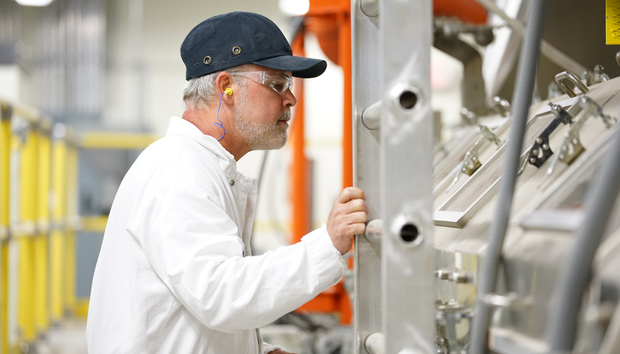 “This investment will ensure our plant in Harrodsburg remains a global center of excellence for glass technology,” Corning CEO Wendell Weeks said in Friday’s announcement.